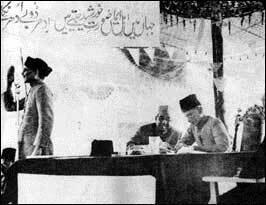 From March 22 to March 24, 1940, the All India Muslim League held its annual session at Minto Park, Lahore. This session proved to be historical. On the first day of the session, Quaid-i-Azam Muhammad Ali Jinnah narrated the events of the last few months. In an extempore speech he presented his own solution of the Muslim problem. He said that the problem of India was not of an inter-communal nature, but manifestly an international one and must be treated as such. To him the differences between Hindus and the Muslims were so great and so sharp that their union under one central government was full of serious risks. They belonged to two separate and distinct nations and therefore the only chance open was to allow them to have separate states. In the words of Quaid-i-Azam: “Hindus and the Muslims belong to two different religions, philosophies, social customs and literature. They neither inter-marry nor inter-dine and, indeed, they belong to two different civilizations that are based mainly on conflicting ideas and conceptions. Their concepts on life and of life are different. It is quite clear that Hindus and Muslims derive their inspiration from different sources of history. They have different epics, different heroes and different episodes. Very often the hero of one is a foe of the other, and likewise, their victories and defeats overlap. To yoke together two such nations under a single state, one as a numerical minority and the other as a majority, must lead to growing discontent and final destruction of any fabric that may be so built up for the government of such a state”. 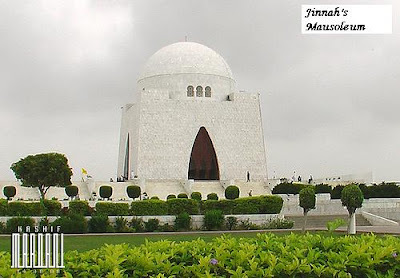 On the basis of the above mentioned ideas of the Quaid, A. K. Fazl-ul-Haq, the then Chief Minister of Bengal, moved the historical resolution which has since come to be known as Lahore Resolution or Pakistan Resolution. The Resolution declared: “No constitutional plan would be workable or acceptable to the Muslims unless geographical contiguous units are demarcated into regions which should be so constituted with such territorial readjustments as may be necessary. That the areas in which the Muslims are numerically in majority as in the North-Western and Eastern zones of India should be grouped to constitute independent states in which the constituent units shall be autonomous and sovereign”. The Resolution repudiated the concept of United India and recommended the creation of an independent Muslim state consisting of Punjab, N. W. F. P., Sindh and Baluchistan in the northwest, and Bengal and Assam in the northeast. The Resolution was seconded by Maulana Zafar Ali Khan from Punjab, Sardar Aurangzeb from the N. W. F. P., Sir Abdullah Haroon from Sindh, and Qazi Esa from Baluchistan, along with many others. The Resolution was passed on March 24. It laid down only the principles, with the details left to be worked out at a future date. It was made a part of the All India Muslim League’s constitution in 1941. 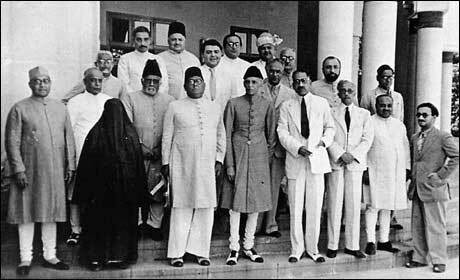 It was on the basis of this resolution that in 1946 the Muslim League decided to go for one state for the Muslims, instead of two. Having passed the Pakistan Resolution, the Muslims of India changed their ultimate goal. Instead of seeking alliance with the Hindu community, they set out on a path whose destination was a separate homeland for the Muslims of India. On 14th August 1947, Pakistanis achieved their cherished goal of freedom and established Pakistan as an independent sovereign State, where they could live freely with honour, dignity and self-respect. God blessed Pakistan with enormous wealth, resources, potentialities and possibilities. To utilize these gifts, God provided talented, committed and enterprising people, possessing a vision, ability and devotion. Every Pakistani had the opportunity to contribute towards his homeland by serving it honestly, sincerely and selflessly thus leading his homeland towards progress, prosperity and development. 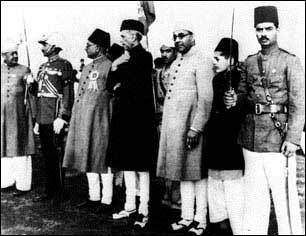 The early departure of Quaid-e-Azam left Pakistan in a state of quandary. Every successive government was worse than the other; each blamed the other for its deceptive and destructive policies. The previous being the devil and the current pristine. This tug of war weakened institutions and law and order. Intolerance grew giving birth to sectarianism and discrimination between caste, creed and communities. Government after government shelved national wellbeing and worked towards personal and vested interests. Those who were against the creation of Pakistan became the ruling class. To perpetuate their rule, they trampled fundamental law, morals, values, principles, traditions, discipline and code of conduct. The issues held dear by the Quaid, national integrity, social justice, faith and supremacy of law were shrouded. 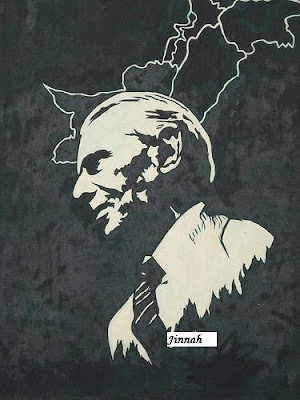 The Quaid’s image was modified to suit the dubious ends of our time tested, tried and failed politicians. This cliché took over the State and ruled over it like a colony imposing its rule on the slaves – hapless people. Lacking originality, vision, sincerity and having no notion of governance, leave alone good governance, unleashed a reign of confusion. Our social and religious ideology succumbed to pressures and quick fixes. Consequently, it was misconstrued and adjusted according to circumstances. Democracy suffered at the hands of civil and military oligarchs. A reign of corruption, favouritism and personal aggrandizement was unleashed, killing merit, competence and professionalism. Infringement and contravention sowed the seeds of provincialism and sectarianism. Instead of galvanizing the people towards national integrity and following the Quaid’s motto of unity, faith and discipline, dissension and diversion, set in. Loot and plunder of the State’s riches continued by mercenaries, the rich became richer and the poor became poorer thus with the passage of time an unbridgeable gulf between the ‘haves’ and the ‘have nots’ widened. 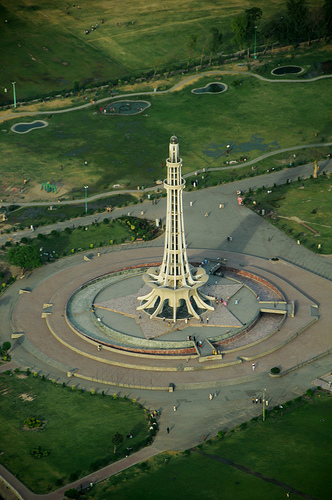 The Quaid found it painful to see the curse of provincialism holding sway over Pakistan. It was imperative to get rid of this evil which he considered a relic of the old administration when people clung to provincial autonomy and local liberty of action to avoid British control. 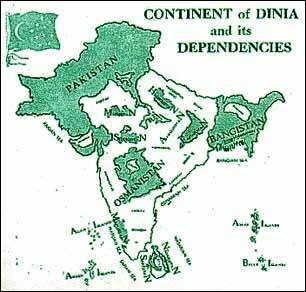 After the creation of Pakistan, having one’s own central government, it was a folly to continue to think in the same terms. This is truth easily forgotten by people who begin to prize local, sectional or provincial interest above national interests. In the words of the Quaid, “Local attachments have their value but what is the value and strength of a part, except within a whole.” He further emphasized, “Our duty to the State comes first; our duty to our province, to our district, to our town and to our village and ourselves comes next.” On another occasion he stated, “You must learn to distinguish between your love for your province and your love and duty to the State as a whole, our duty to the State takes us a stage beyond provincialism. It demands a broader sense of vision and greater sense of patriotism.” He asked to pause and consider before taking any step whether it would be conditioned by ones personal or local likes or would be determined by consideration of the good of the State: “Representative governments and representative institutions are no doubt good and desirable, but when people want to reduce them merely to channels of personal aggrandizement, they not only lose their value but earn a bad name.” A bright future lay ahead if individuals, both officials and non-officials, play their part and work in this spirit. Pakistan would emerge as one of the greatest nations of the world. While talking on the subject of sectarianism, the Quaid declared, “If you want to build up yourself into a Nation, for god’s sake give up this provincialism. Provincialism has been one of the curses; and so is sectionalism – Shia, Sunni etc.” He warned the Nation not to fall into the trap of the enemies of Pakistan who were unfortunately Muslims financed by outsiders. I shall watch with keenness the work of your Research Organization in evolving banking practices compatible with Islamic ideas of social and economic life. The economic system of the West has created almost insoluble problems for humanity and to many of us it appears that only a miracle can save it from disaster that is not facing the world. It has failed to do justice between man and man and to eradicate friction from the international field. On the contrary, it was largely responsible for the two world wars in the last half century. The Western world, in spite of its advantages, of mechanization and industrial efficiency is today in a worse mess than ever before in history. The adoption of Western economic theory and practice will not help us in achieving our goal of creating a happy and contended people. We must work our destiny in our own way and present to the world an economic system based on true Islamic concept of equality of manhood and social justice. We will thereby be fulfilling our mission as Muslims and giving to humanity the message of peace which alone can save it and secure the welfare, happiness and prosperity of mankind. “Mr. Governor, Directors of State Bank, Ladies and Gentlemen. The opening of the State Bank of Pakistan symbolises the sovereignty of our State in the financial sphere and I am very glad to be here today to perform the opening ceremony. It was not considered feasible to start a Bank of our own simultaneously with the coming into being of Pakistan in August last year. A good deal of preparatory work must precede the inauguration of an institution responsible for such technical and delicate work as note issue and banking. To allow for this preparation, it was provided, under the Pakistan Monetary System and Reserve Bank Order, 1947, that the Reserve Bank of India should continue to be the currency and banking authority of Pakistan till the 30th September, 1948. Later on it was felt that it would be in the best interests of our State if the Reserve Bank of India were relieved of its functions in Pakistan, as early as possible. The State of transfer of these functions to a Pakistan agency was consequently advanced by three months in agreement with the Government of India and the Reserve Bank. It was at the same time decided to establish a Central Bank of Pakistan in preference to any other agency for managing our currency and banking. This decision left very little time for the small band of trained personnel in this field in Pakistan to complete the preliminaries and they have by their untiring effort and hard work completed their task by the due date which is very creditable to them, and I wish to record a note of our appreciation of their labours. As you have observed, Mr. Governor in undivided India banking was kept a close preserve of non-Muslims and their migration from Western Pakistan has caused a good deal of dislocation in the economic life of our young State. In order that the wheels of commerce and industry should run smoothly, it is imperative that the vacuum caused by the exodus of non-Muslims should be filled without delay. I am glad to note that schemes for training Pakistan nationals in banking are in hand. I will watch their progress with interest and I am confident that the State Bank will receive the co-operation of all concerned including the banks and Universities in pushing them forward. Banking will provide a new and wide field in which the genius of our young men can find full play. I am sure that they will come forward in large numbers to take advantage of the training facilities which are proposed to be provided. While doing so, they will not only be benefiting themselves but also contributing to the well-being of our State. I need hardly dilate on the important role that the State Bank will have to play in regulating the economic life of our country. The monetary policy of the bank will have a direct bearing on our trade and commerce, both inside Pakistan as well as with the outside world and it is only to be desired that your policy should encourage maximum production and a free flow of trade. The monetary policy pursued during the war years contributed, in no small measure, to our present day economic problems. The abnormal rise in the cost of living has hit the poorer sections of society including those with fixed incomes very hard indeed and is responsible to a great extent for the prevailing unrest in the country. The policy of the Pakistan Government is to stabilise prices at a level that would be fair to the producer, as well as the consumer. I hope your efforts will be directed in the same direction in order to tackle this crucial problem with success. May the Sate Bank of Pakistan prosper and fulfil the high ideals which have been set as its goal. (Dawn.com) An oral history in which the first generation of Pakistani citizens recall encounters with the pathbreaking leader of their new nation. 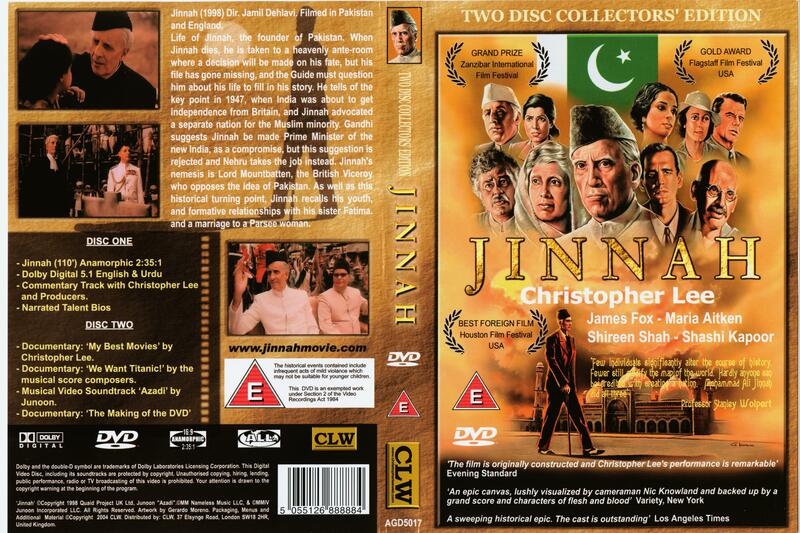 The memories and stories of those who knew Jinnah comprise the most vital account of what the Quaid was like both as a friend and a head of state – they sift through the politics and convey a sense of the person. These memories have been documented by the Citizens Archive of Pakistan (CAP), a non-profit educational institution and heritage centre. Quaid-i-Azam Mohammad Ali Jinnah, the voice of one hundred million Muslims, fought for their religious, social and economic freedom. 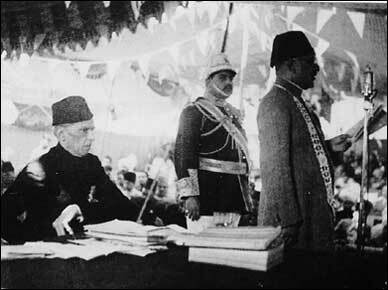 Throughout history no single man yielded as much power as the Quaid-i-Azam, and yet remained uncorrupted by that power. Not many men in history can boast of creating a nation single handedly and altering the map of the world but Jinnah did so and thus became a legend. It is with a deep sense of gratitude but, sadly, mixed with an acute feeling of remorse and anguish that the people of Pakistan today view the 133rd birth anniversary of Quaid-i-Azam Muhammad Ali Jinnah, and the country that he created for the Muslims of the subcontinent. With a single-minded resolve and conviction and unmatched brilliance and advocacy, he was able to bring home to the opponents of partition that Muslims were a nation apart in every sense of the word, in religion, in culture, in outlook on life, and would not countenance the dominance of the Hindu majority when the British had packed up and left India. The people of Pakistan, while they are beholden to the Quaid for giving them an independent homeland are, at the same time, remorseful at what they – to be more exact, their leaders – have made of that priceless gift. It has been a turbulent 62 years, with rare but short spells of smooth sailing. There have been constitutional crises, inroads of bureaucracy into the political domain, and, the worst of all, periodic military coups, upsetting the democratic applecart hardly when the wares were beginning to get arranged. No more needs to be said in elaboration of these misfortunes except that the internecine bickering split up the original country into two, aided and abetted by a hostile neighbour. Pakistan, instead of marching ahead and finding a respectable place among the advanced nations of the world, as the Quaid had visualised, has regressed in aspects that provide fundamental structure of a modern Islamic democratic society. Mr. President, Ladies and Gentlemen! I cordially thank you, with the utmost sincerity, for the honor you have conferred upon me – the greatest honor that is possible to confer – by electing me as your first President. I also thank those leaders who have spoken in appreciation of my services and their personal references to me. I sincerely hope that with your support and your co-operation we shall make this Constituent Assembly an example to the world. The Constituent Assembly has got two main functions to perform. The first is the very onerous and responsible task of framing the future constitution of Pakistan and the second of functioning as a full and complete sovereign body as the Federal Legislature of Pakistan. We have to do the best we can in adopting a provisional constitution for the Federal Legislature of Pakistan. You know really that not only we ourselves are wondering but, I think, the whole world is wondering at this unprecedented cyclonic revolution which has brought about the clan of creating and establishing two independent sovereign Dominions in this sub-continent. As it is, it has been unprecedented; there is no parallel in the history of the world. This mighty sub-continent with all kinds of inhabitants has been brought under a plan which is titanic, unknown, unparalleled. And what is very important with regards to it is that we have achieved it peacefully and by means of an evolution of the greatest possible character. Dealing with our first function in this Assembly, I cannot make any well-considered pronouncement at this moment, but I shall say a few things as they occur to me. The first and the foremost thing that I would like to emphasize is this: remember that you are now a sovereign legislative body and you have got all the powers. It, therefore, places on you the gravest responsibility as to how you should take your decisions. The first observation that I would like to make is this: You will no doubt agree with me that the first duty of a government is to maintain law and order, so that the life, property and religious beliefs of its subjects are fully protected by the State. The second thing that occurs to me is this: One of the biggest curses from which India is suffering – I do not say that other countries are free from it, but, I think our condition is much worse – is bribery and corruption. That really is a poison. We must put that down with an iron hand and I hope that you will take adequate measures as soon as it is possible for this Assembly to do so. Black-marketing is another curse. Well, I know that black marketeers are frequently caught and punished. Judicial sentences are passed or sometimes fines only are imposed. Now you have to tackle this monster, which today is a colossal crime against society, in our distressed conditions, when we constantly face shortage of food and other essential commodities of life. A citizen who does black-marketing commits, I think, a greater crime than the biggest and most grievous of crimes. These black marketeers are really knowing, intelligent and ordinarily responsible people, and when they indulge in black-marketing, I think they ought to be very severely punished, because the entire system of control and regulation of foodstuffs and essential commodities, and cause wholesale starvation and want and even death. The next thing that strikes me is this: Here again it is a legacy which has been passed on to us. Along with many other things, good and bad, has arrived this great evil, the evil of nepotism and jobbery. I want to make it quite clear that I shall never tolerate any kind of jobbery, nepotism or any any influence directly of indirectly brought to bear upon me. Whenever I will find that such a practice is in vogue or is continuing anywhere, low or high, I shall certainly not countenance it. I know there are people who do not quite agree with the division of India and the partition of the Punjab and Bengal. Much has been said against it, but now that it has been accepted, it is the duty of everyone of us to loyally abide by it and honorably act according to the agreement which is now final and binding on all. But you must remember, as I have said, that this mighty revolution that has taken place is unprecedented. One can quite understand the feeling that exists between the two communities wherever one community is in majority and the other is in minority. But the question is, whether it was possible or practicable to act otherwise than what has been done. A division had to take place. On both sides, in Hindustan and Pakistan, there are sections of people who may not agree with it, who may not like it, but in my judgment there was no other solution and I am sure future history will record is verdict in favor of it. And what is more, it will be proved by actual experience as we go on that was the only solution of India’s constitutional problem. Any idea of a united India could never have worked and in my judgment it would have led us to terrific disaster. Maybe that view is correct; maybe it is not; that remains to be seen. All the same, in this division it was impossible to avoid the question of minorities being in one Dominion or the other. Now that was unavoidable. There is no other solution. Now what shall we do? Now, if we want to make this great State of Pakistan happy and prosperous, we should wholly and solely concentrate on the well-being of the people, and especially of the masses and the poor. If you will work in co-operation, forgetting the past, burying the hatchet, you are bound to succeed. If you change your past and work together in a spirit that everyone of you, no matter to what community he belongs, no matter what relations he had with you in the past, no matter what is his colour, caste or creed, is first, second and last a citizen of this State with equal rights, privileges, and obligations, there will be on end to the progress you will make. I cannot emphasize it too much. We should begin to work in that spirit and in course of time all these angularities of the majority and minority communities, the Hindu community and the Muslim community, because even as regards Muslims you have Pathans, Punjabis, Shias, Sunnis and so on, and among the Hindus you have Brahmins, Vashnavas, Khatris, also Bengalis, Madrasis and so on, will vanish. You are free; you are free to go to your temples, you are free to go to your mosques or to any other place or worship in this State of Pakistan. You may belong to any religion or caste or creed that has nothing to do with the business of the State. As you know, history shows that in England, conditions, some time ago, were much worse than those prevailing in India today. The Roman Catholics and the Protestants persecuted each other. Even now there are some States in existence where there are discriminations made and bars imposed against a particular class. Thank God, we are not starting in those days. We are starting in the days where there is no discrimination, no distinction between one community and another, no discrimination between one caste or creed and another. We are starting with this fundamental principle that we are all citizens and equal citizens of one State. The people of England in course of time had to face the realities of the situation and had to discharge the responsibilities and burdens placed upon them by the government of their country and they went through that fire step by step. Today, you might say with justice that Roman Catholics and Protestants do not exist; what exists now is that every man is a citizen, an equal citizen of Great Britain and they are all members of the Nation. Well, gentlemen, I do not wish to take up any more of your time and thank you again for the honor you have done to me. I shall always be guided by the principles of justice and fair play without any, as is put in the political language, prejudice or ill-will, in other words, partiality or favoritism. My guiding principle will be justice and complete impartiality, and I am sure that with your support and co-operation, I can look forward to Pakistan becoming one of the greatest nations of the world. On the occasion of of the first meeting of the Constituent Assembly for Pakistan, I extend to you and to the members of the Assembly, the best wishes of the Government and the people of the United States for the successful conclusion of the great work you are about to undertake. When you read this and look at today’s Pakistan, 60 years later, EVERYTHING that Jinnah warned us against is now in Pakistan…. and politicians use the great Quaid’s name to justify anything that they are doing. Before you follow or elected anyone, make sure that they don’t have the qualities that Jinnah said would destroy Pakistan. We now need to work hard to TAKE BACK PAKISTAN to follow Quaid-e-Azam, Allama Iqbal and Chaudhry Rehmat Ali, and Liaquat Ali Khan’s vision of Pakistan, which has been polluted.